“Irish coast” by Lena Noack, distributed by the European Geosciences Union under a Creative Commons licence. Among geoscientists, the beautiful island of Ireland is best known for its Giant’s Causeway, an area with some 40,000 polygonal columns of layered basalt that formed 60 million years ago as a result of a volcanic eruption. But another recognisable feature of the Emerald Isle, is its lush green vegetation, a product of the island’s mild climate and frequent rainfall. 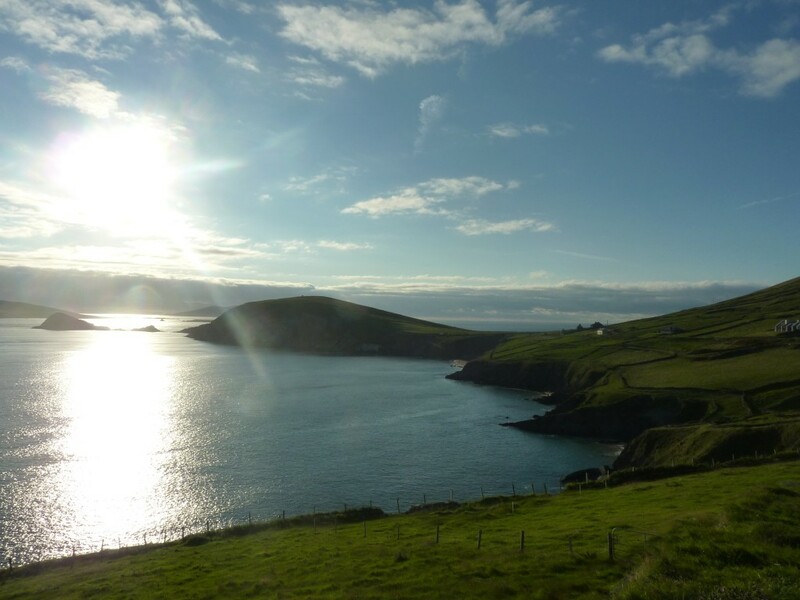 The photo beautifully showcases Ireland’s colours: the calm blue of the sea and the bright green of the pastures. It was captured along the south-western coast of the island in the Dingle peninsula. Imaggeo is the EGU’s online open access geosciences image repository. All geoscientists (and others) can submit their images to this repository and since it is open access, these photos can be used by scientists for their presentations or publications as well as by the press and public for educational purposes and otherwise. If you submit your images to Imaggeo, you retain full rights of use, since they are licensed and distributed by the EGU under a Creative Commons licence.